We hope you enjoyed your experience. Now that your pulse rate is back to normal, visit your local Audi dealer and discover which Audi performance model is right for you. 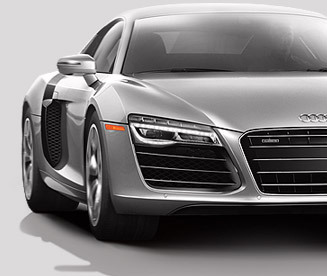 Or click here to configure your new Audi vehicle. qualifies you for an exclusive offer of $200 off any full-day program. merchandise from the Audi Collection. Thanks again for your support and interest in Audi. * Offer expires on 6/28/13. Promotion code can only be used once and may not be used at Audi dealerships. “Audi,” “Audi Sport,” “quattro,” “Truth in Engineering,” the four rings logo and all model names are registered trademarks of AUDI AG. All other trademarks are the property of their respective owners. To ensure you continue to receive e-mails from Audi, please place Audi driving experience info@e1data.com in your address book. If you would no longer like to receive these e-mails, you may unsubscribe. You may also contact Audi directly with questions or for additional information. This is an outbound e-mail only; we will be unable to respond to replies. For comments and questions, please contact auditalk@audi.com.